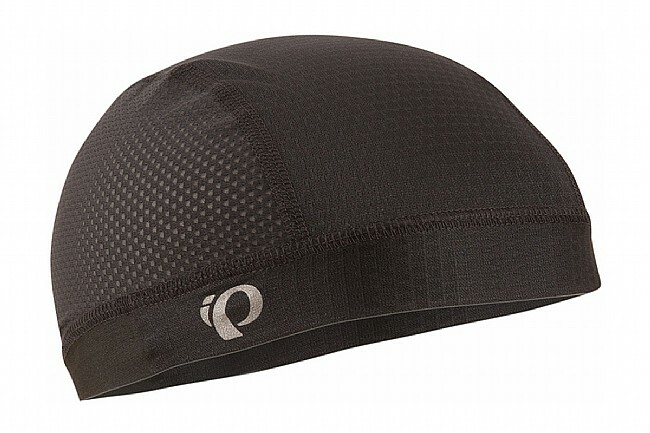 Pearl Izumi's In-R-Cool Skull Cap wicks away moisture on hot days and keeps sweat out of your eyes to keep you riding without a hitch. P.R.O. Transfer Dry and Transfer Lite fabrics are enhanced with 37.5® active particle technology to increase moisture transfer and odor absorption while decreasing dry time. The lightweight elastic headband accommodates all sizes, and anatomic paneling makes for a performance fit. as effective or maybe slightly better than my older assos skull cap in all aspects. A must for long rides. I'm bald. This keeps the sun off and the evaporating sweat cools my head and stays out of my eyes. Also works well as light insulation on cooler days. Universal fit fits both small and large heads (bought two and gave one to small guy and one to big guy). Comfortable fit, stays in place, very breathable. Good material and sun protection. One size fits all can be a problem for some. Mine is snug but stretches sufficiently. 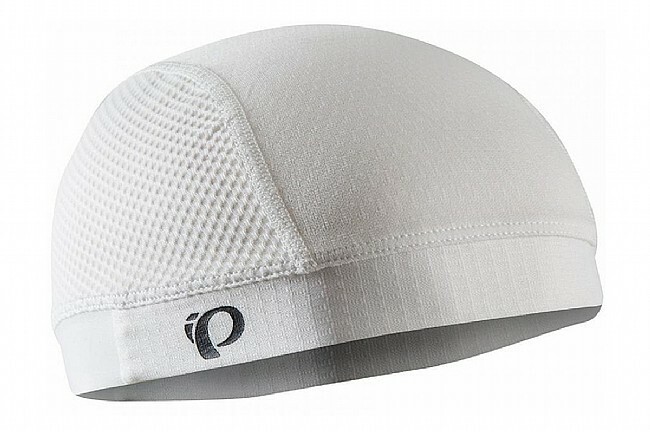 Pearl Izumi's In-R-Cool Skull Cap is a little expensive but it is the best quality skull cap and helmet liner in the market. I bought mine black so I can toss it in the washer with color outfit. PI's skull cap works great as a helmet liner for all SpringSummerFall long rides. Although I'm not bald, I wear it first as protection instead of sunscreen and second, to keep away all sweat from coming down my forehead and eyes. It also helps in keeping my sweaty sunglasses right in place. Compared to wear nothing, cap is a little warm to wear. I put it on even when going out running late in the day. Highly recommended! I bought my first skull cap 2 years ago just because it was on sale for $15 and I was getting tired of thicker headbands that filled with sweat after an hour of summer riding. Those headbands didn't keep the sweat out of my eyes or cool my head when they were saturated. The In-R-Cool material works very well and is light. I can feel the air moving across the cap drying the sweat. If these things get salty from sweat evaporating (they do on longer rides), I just rinse it with water, wring it out, and go. I now have one for every day of the week to keep a fresh one for the next day. I bought this this skull cap because I was going on a 6 day bike ride thru some hot areas. It did keep sweat from going in my eyes but not sure it kept my head cooler. One thing it did do was keep bike helmet hair manageable. i have a big head and this is not one-size-fits all unless you have a small to medium size head. Great lightweight skull cap for warmer weather. Efficient moisture transfer. Being folically challenged, I needed something light to wear to keep the sun from burning my poor little bald head and this did the trick. It's really nice because the sides are mesh and I can feel the air as it travels between my helmet and my head. It's cooling even on the hottest days.